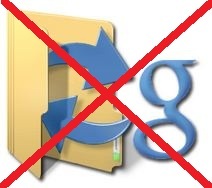 Last week, I was delighted to discover that there are – finally – tools allowing to sync between Dropbox and Google Documents. Syncdocs: It was probably the most promising. Actually it works, even a little too well, since it downloads everything and anything. Even DP cache, as well as hidden and deleted files, which takes storage space unecessarily. I haven’t found a satisfactory way to fix it yet. Right now, I just syncing one way (DP to GG). Not ideal, but it may get better. Cloud HQ: also promising, it offers an « integration » between DP, GG and other services. The idea is nice: it creates a new Dropbox section in Google Docs left column. You can also access your files from Cloud HQ website, but it’s not very convenient. The worst is that all my Office 2010/Open Office files were renamed into « docx.doc » or « odt.doc », and were downloaded twice on my computer, taking a lot of storage space. And it’s bound to become paying service at the end of the beta test. Deactivated and deleted. Syncplicity: I haven’t tested it, because of it’s 2 Gb limit for free version and it’s rather expensive price (15 $/mo). It does not to have any mac client, and seems to be more like a substitute for Dropbox. Google Cloud Connect: it installs a new toolbar in Office documents and syncs it when you work on it. It doesn’t allow you to watch a particular folder, so this is not what I am looking for. Jookuu (Windows only): this standalone program manages one or more Dropbox, Google and Box.net accounts. I don’t like the idea of having a full software to manage my files and I’d rather have a Dropbox-like system working in background. Still testing it. Other services exist: insynch (beta sur invitation), SugarSync (payant), Cloud Hero (payant), Cloudseed (en suspens).